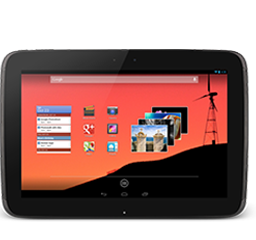 Q: How do I move the movie DVD video to Google Nexus 10? I'm going on a trip this week and the plane is rather long. I don't want to buy or rent movie videos on the Google Play Store. So I borrow a movie DVD I've not seen yet from my friend, but I have no idea on how to copy the movie DVD to my Nexus 10.If someone could help me that be great!! Google Nexus 10, tablet with stunning 2560 x 1600 display, the largest 10'' size among Google tabs and powerful graphics processor, is abusolutely the ideal handy player for you to watch movie, music videos and HD photos, more vivid and clear than any iPad, even the latest iPad Air 2/mini 4. Let's first see the Nexus 10 supported formats and Nexus 10 specifications. 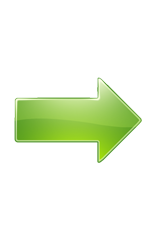 Not supported: AVI, FLV, M4V, AVCHD, MTS, MKV, VOB, iTunes/Amazon DRM movie videos, DVD etc. As showed above, it's easy to draw that movie DVDs are not playable on Nexus 10 unless ripping converting DVD to Nexus 10 supported formats like MP4, either with H.264 or MPEG-4 codec. Cameras: Back 5MP and front 1.9MP (1080p/720p video) Preloaded apps: Include Gmail, Google Maps, Google+, Chrome, Google Play, YouTube etc. Best solution to rip any DVD to Nexus 10/7/9/6 on PC/Mac. Here the steps of ripping DVD to Nexus 10 on Windows are detailed described with correspinding screenshots. The way to convert DVD movie to Nexus 10 on Mac OS X is the same. Now download WinX DVD Ripper Platinum/for Mac, install and run it on your computer. >> WinX software will check the the main title of copy protected movie DVD by default. Step 3. Do some settings, and click "RUN" icon to set off DVD to Nexus 10 conversion. * In Step 2, you can also choose a certain Nexus 10 supported video format at "PC General Video" category. * In Step 3, you can edit video audio, set their parameters, select audio channel, choose/add movie subtitle etc. according to your needs. * Read DVD copyright laws in your country carefully before you decide to rip a DVD. WinX DVD Ripper Platinum – Not only best DVD to Nexes (10) converter, but also best DVD to Google Chromebook, iPhone, iPad, Samsung, PSP, etc. converter; it also features cloning DVD to ISO/folder at 1:1 ratio, copy main/full title to single MPEG2 file.